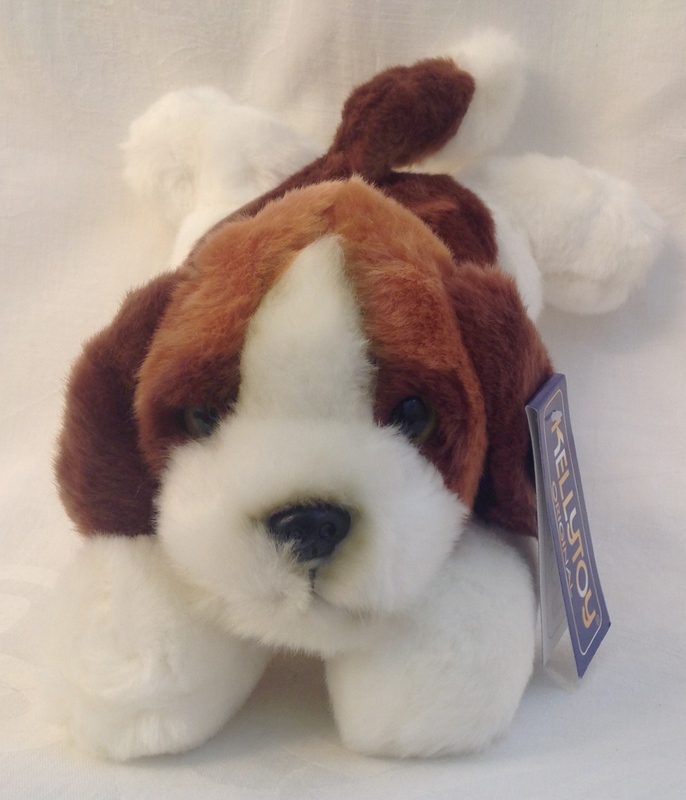 This brown and white toy dog barks when you press the sound box located on the belly of this toy. 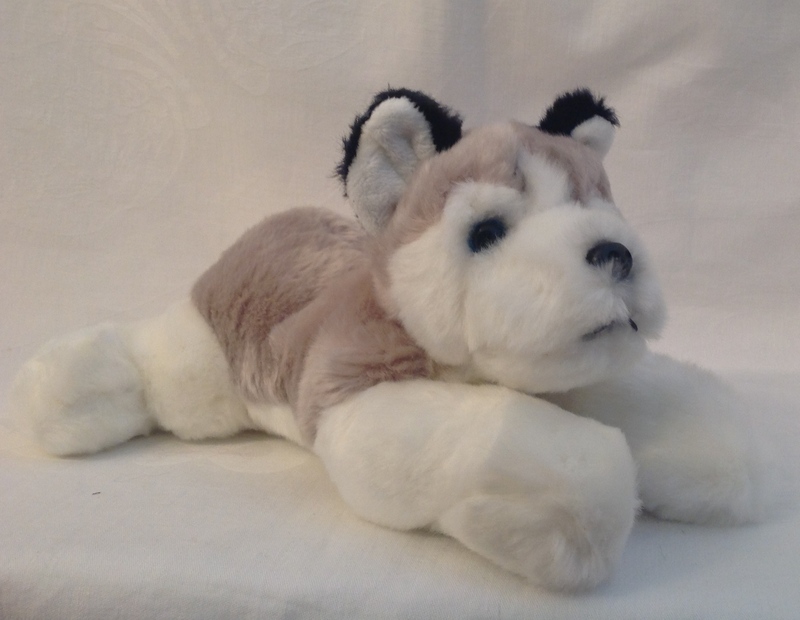 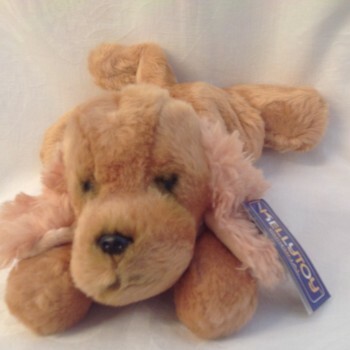 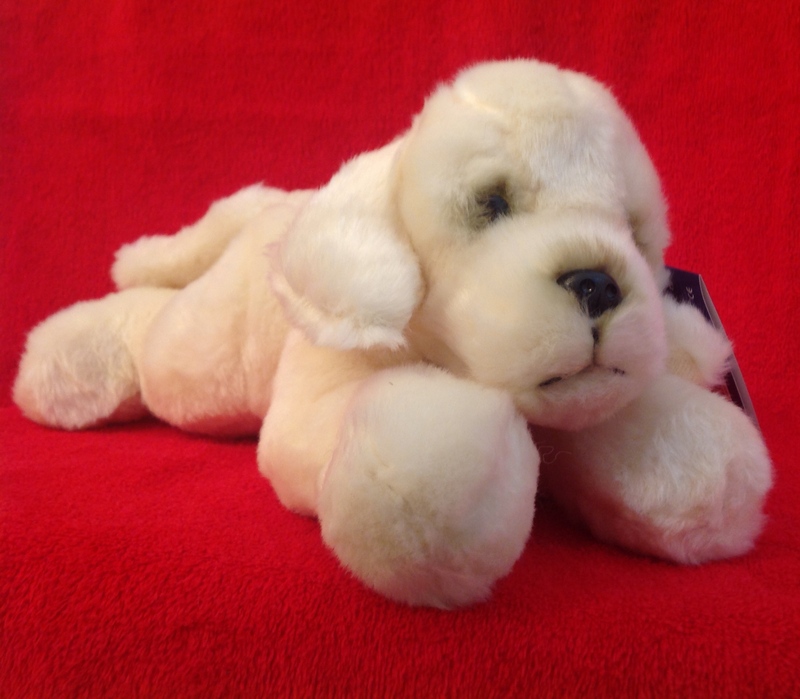 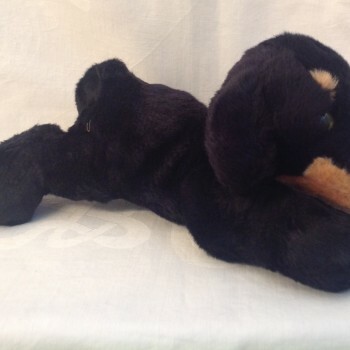 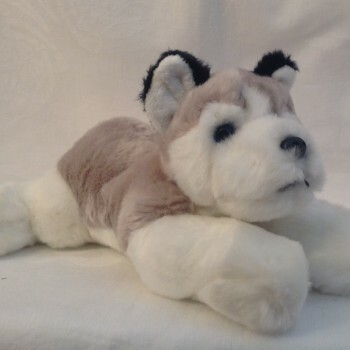 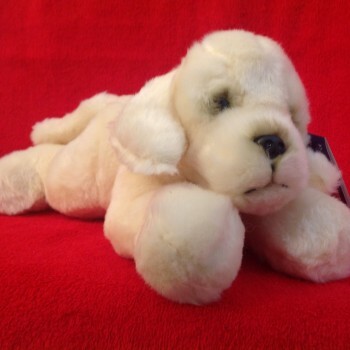 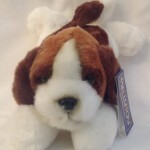 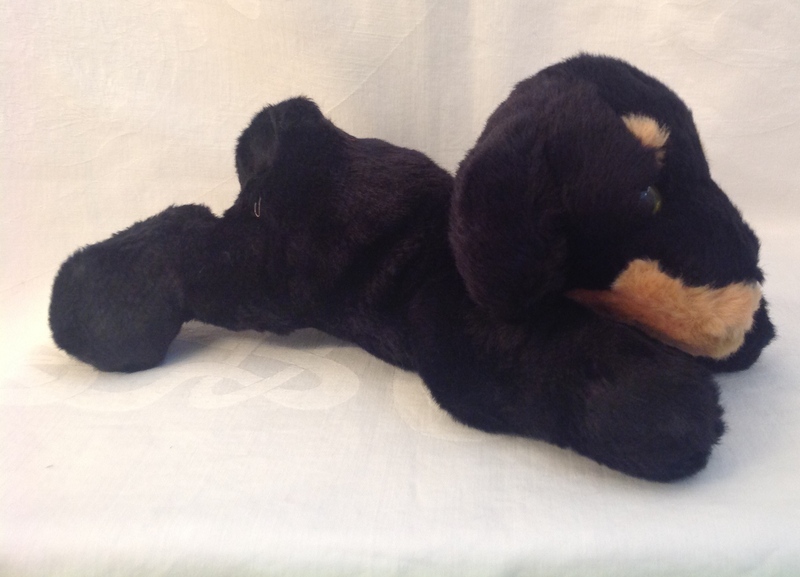 Soft and cuddly, this makes plush toy a great gift for any dog lover in your life. 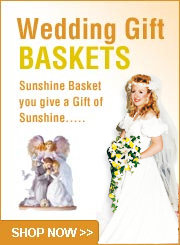 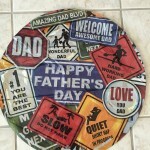 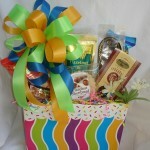 Also available in grey and white, cream color, golden tan or black. 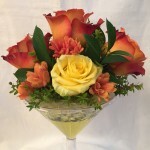 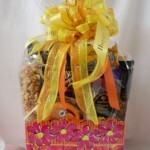 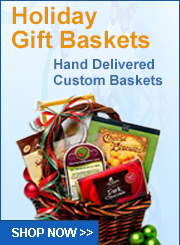 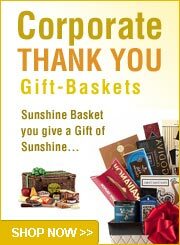 If calling to order, please inquire about current inventory on hand.